Many of you have probably already seen this dress. Isn’t it great?! The perfect match-up of fabric and pattern. 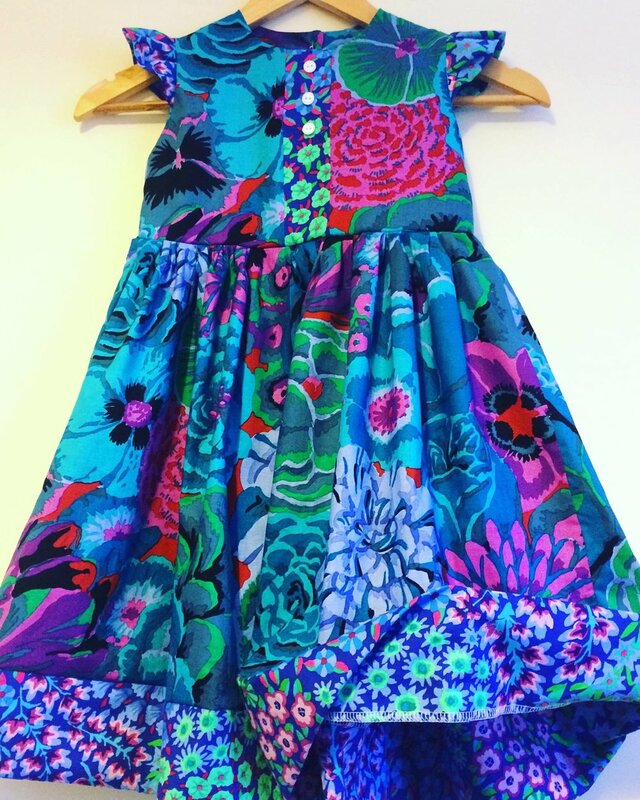 This dress was made by Lisa Thomas of Little Pea Creations. Lisa used “Embroidered Flower Border” in Blue from the Kaffe Fassett Artisan line. It’s the perfect match-up of fabric and pattern, and showcases this amazing print so beautifully. Lisa worked in the mental health field for 18 years. Now she is following her bliss, creating beautiful little dresses and baby clothes for happy customers. She makes two to three a day, most of which are custom orders. Lisa works from home, and has a Juki sewing machine, and a Brother over-locker. LOVE the patchy plackets and hemline. Her “makes” are popular and in high demand. As of now, she is Chief, Cook, and Bottle-washer, wearing every hat and doing everything by herself. Admittedly, she says, “I work a lot of hours. But it’s not work if you love what you do.” It's easy to see that Lisa is passionate about her work. 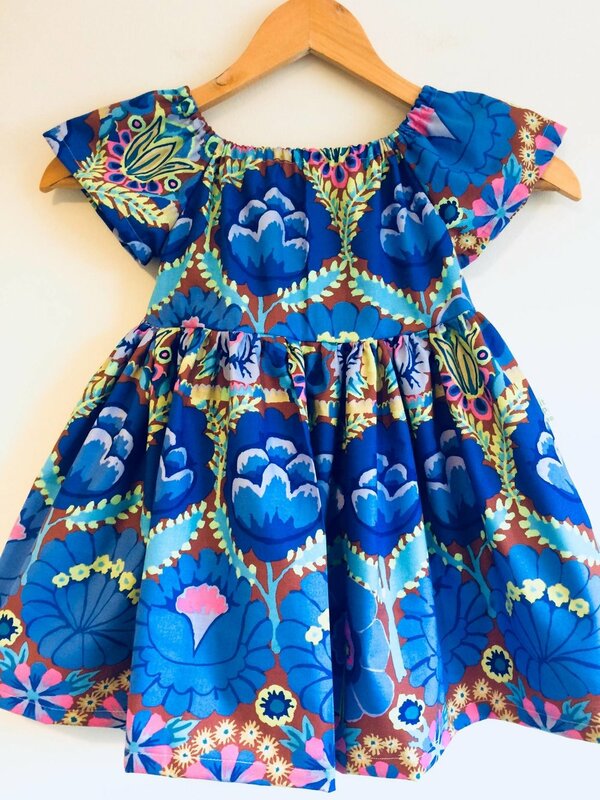 I can't resist these large florals and deep saturated colors for little garments! Darling! Prices range from $36 to $56. Pop on over to Little Pea Creations on Facebook and take a look for yourself.